My number one tip for girls who are planning out their outfits for recruitment is to keep it classy. Now I'm not saying you have to wear the stereotypical Lilly prints all week long. You should wear outfits that fit your personal style, don't try to be someone you're not, but also remember you're trying to impress girls not guys. Therefore, I would advise staying away from bodycon silhouettes and crop tops and be cautious of cutouts and anything too revealing. I would recommend finding pieces that are conservative yet stylish and made of comfortable and flowy fabrics. Pastel, primary hued, floral and other classic printed dresses are often safe bets, and a modest length skirt can work as well. Make sure your shoes are comfortable too as you will be walking and standing most of the day, and simple and neutral jewelry may be best. Try a simple pair of stud earrings or delicate dangle earrings with a simple pendant necklace and a dainty bracelet or ring. Also, don't forget about the details. A beautiful outfit is nothing without neat hair, nails and nice, natural makeup. You want to look polished. Finally, plan a couple backup outfits. You never know when a top is going to get stained or a zipper is going to bust. It's better to be safe than sorry! Now on to my outfit advice for each round specifically. 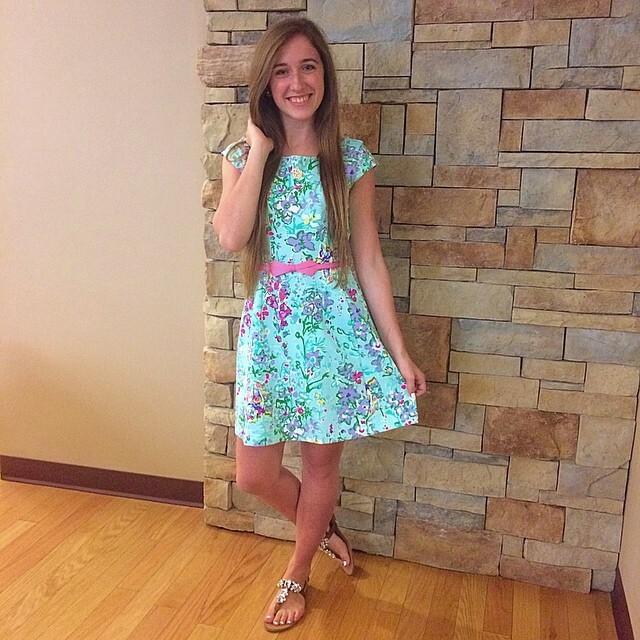 In general, the attire starts off informal and gradually becomes more formal as the week goes on. I'll show y'all pictures of exactly what I wore each round as well as provide links of pieces available now that I think would fit the dress code. I'm also going to be basing my advice off of K-State's recruitment process, so be sure to check your school's guidelines on what to wear for each round as well. I wore brown sandals, not tennis shoes. The first round is the most casual out of all of the rounds, and at my school it spans over two days. If that's the case, you'll need two outfits because trust me, you won't be able to wear the same outfit again after sweating all day. For this round PNMs are typically asked to wear a school spirit shirt or a recruitment shirt provided for them, and they are typically paired with a solid skirt, chino/flowy shorts or pants/capris. Comfortable shoes such as sandals are appropriate for this round. I wore brown sandals instead of heels. For round 2, a light sundress or a flowy romper is appropriate. I think a seersucker dress like what I wore is a fool proof option, and I am loving this dress! Although, if you're going through recruitment at K-State, they changed the attire for this round to the same as round one. Once again, sandals are appropriate for this round. Round 3 is slightly dressier than round 2, so good options would include Lilly dresses, flowy shift dresses or a nice blouse and skirt combo. I opted to wear sandals again during this round since I would be walking up and down stairs all day during house tours and didn't want to trip or stumble. But I chose a pair of embellished sandals to make it slightly more dressy. You could also go for a pair of chunky heels or wedges if you really didn't want to wear sandals. What you wear for round 4 should be the equivalent of what you would wear to a summer wedding. The beautiful and timeless dress I wore is still available here, and I am head over heels in love with this dress from Goodnight Macaroon! I would highly recommend wearing heels for this round, as well as packing a pair of flip flops to wear between houses so your feet aren't killing you at the end of the day. 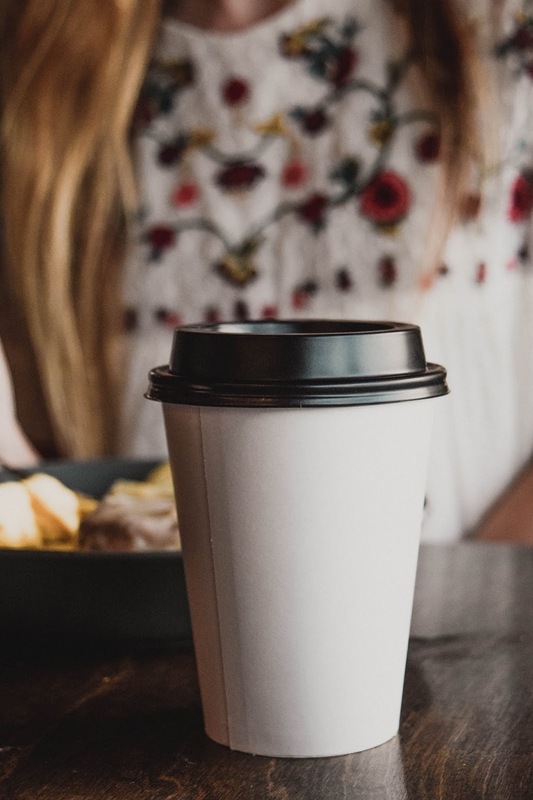 This is also the round I recommend staying away from black and white dresses because typically those are the color dresses the members of the sorority wear. Remember, this is your last chance to make an impression on the houses you have left, so be sure to be polished and make it a good one! 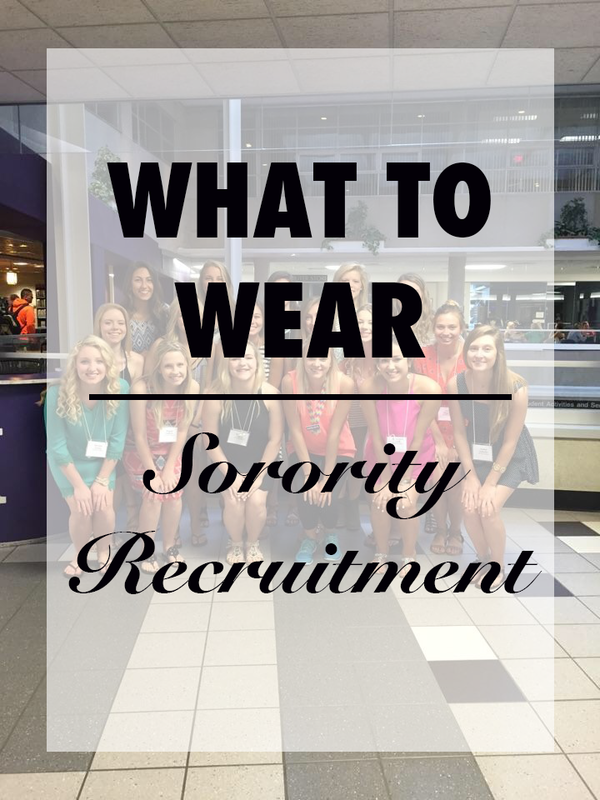 I hope this post was helpful for those of you still trying to figure out what you're going to wear for recruitment. If you're still on the fence about going through formal sorority recruitment, I would highly, highly recommend giving it a shot! It lead me to the best part of my freshman year of college!